Everyone on the staff there were all wonderful. The nurse was very comforting to my son since it was his firsttime to the dentist. Dr Lee was also very nice and explained everything to him that she was gonna do. Everyone on the staff there were all wonderful. The nurse was very comforting to my son since it was his first time to the dentist. Dr Lee was also very niceand explained everything to him that she was gonna do. Dr. Raina Lee, Dr. Nancy Chung, "Little Sunshine Dental" is by far the greatest dental office I have been to. Mydaughter went to another office and threw a fit, however, i took her to little sunshine dental and Dr. Lee somehow kept her calm. Dr. Lee is very calm and kind. I recommend Little sunshine dental to almost everyone, if i had know they work on adults as well, i would have gone to Little Sunshine dental. Maybe next year when my dental plan resets. Thank you very much Little sunshine Dental for great dental treatment, professionalism, cleanliness, and kindness. Dr. Raina Lee, Dr. Nancy Chung, "Little Sunshine Dental" is by far the greatest dental office I have been to. My daughter went to another office and threw a fit, however,i took her to little sunshine dental and Dr. Lee somehow kept her calm. Dr. Lee is very calm and kind. I recommend Little sunshine dental to almost everyone, if i had know they work on adults as well, i would have gone to Little Sunshine dental. Maybe next year when my dental plan resets. Thank you very much Little sunshine Dental for great dental treatment, professionalism, cleanliness, and kindness. 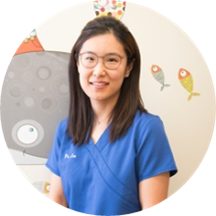 Dr. Raina Lee, a board-certified pediatric dentist, received her dental degree from Columbia University College of Dental Medicine. While practicing as a general dentist for couple years, she found her passion for working with children. She continued her studies, completing her Pediatric Dental Residency at Bronx-Lebanon Hospital Center where she served as a chief resident. She received the Richard C. Pugh Achievement Award for being in the top 3% of the pediatric dental board examination and she is a diplomate of the American Board of Pediatric Dentistry. She currently lives in Bergen County with her husband and 1-year-old daughter. She enjoys making the child feel at ease and strives to provide positive and fun memories at their visits to the dentist. Small office set up, wait time was less than 10 mins. Doctor and Staff were polite and friendly. TV and Netflix with kid's programs, which is the main selling point(in my 3 yrs old's opinion). My child was seen immediately. Dr. Lee anticipated any questions and easily addressed them. My child loved the video monitor that plays cartoons while sitting in dentist chair. Dr. Lee and her staff were amazing! She genuinely was concerned for my daughter's health. She did not scold me or made me feel like a bad parent like many other dentists do. As a single parent it is sometimes hardto keep up with certain things and I am very grateful for Dr. Lee being concerned rather than being judgmental. My daughter is a new patient to this doctor and today was my third visit because my daughter had couple of cavities and I am very happy how she was treating my daughter and making her comfortable . Dr Lee was really good and my kid was treated in Right manner !